He is best known for his genetics research in retinal diseases. He has identified the genetic determinants of retinal diseases and helped to translate these into new therapies such as complement inhibitors for the commonest cause of blindness, age related macular degeneration (AMD). His innovative research in macular disease was recognised internationally by his 2004 election to the United States Macula Society. 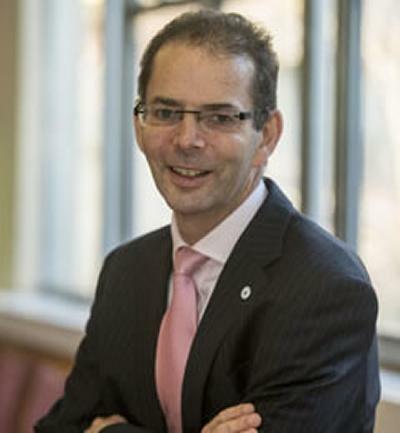 He is one of the top UK clinician scientists in eye disease as demonstrated by his election as an NIHR senior investigator in 2008 and The Times listing him in their 2010 Top 100 Doctors list. His influential research was recognised by the Royal College of Ophthalmology (RCOphth) who awarded him the Nettleship medal in 2009 for his Lancet paper on AMD genetics. He received the 2012 special award for excellence from the Macular Disease Society and the 2014 University Hospital Southampton Innovation Award and he is the former President of the of the Southern Ophthalmological Society. In influencing policy to improve health and wealth, Andrew has beena member of the Department of Transport’s honorary medical advisory panel on driving and visual disorders since 2013. He has acted as a nominated clinical expert to The National Institute for Heath and Care Excellence (NICE) technology appraisal panels that have resulted in major changes in management of AMD and vitreo-macular traction. As co-chair of the RCOphth academic committee, he initiated co-funded clinical training fellowships with the MRC. Andrew is specialty lead for the Wessex Clinical Research Network spearheading a major increase in clinical trials in Wessex over the last 5 years. He has contributed significant AMD samples to an international effort to find novel genetic determinants for AMD. This has resulted in over 20 novel genes been identified. Andrew is interested in understanding the molecular basis of ophthalmic diseases. 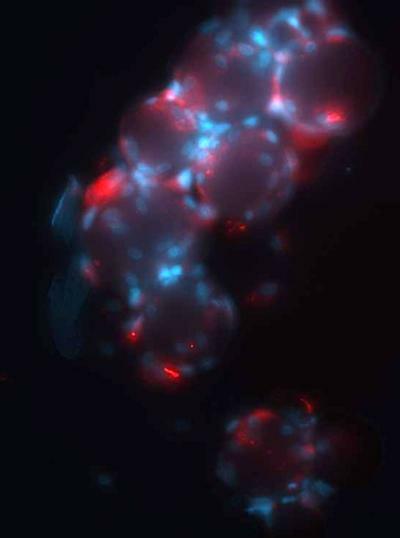 His University laboratory identifies genetic determinants of eye disease and studies defined mutations in patient derived induced pluripotent stem cells. New therapeutic approaches are also being explored such as gene therapy and retinal cell transplantation. He also leads a dynamic clinical trials team which has participated in many landmark clinical trials developing new treatments for both common conditions such as age related macular degeneration and also rare conditions such as choroideremia. None of this would be possible without the financial support of the Gift of Sight Appeal. My MD research in Belfast successfully mapped a gene for Central Areolar Choroidal Dystrophy. 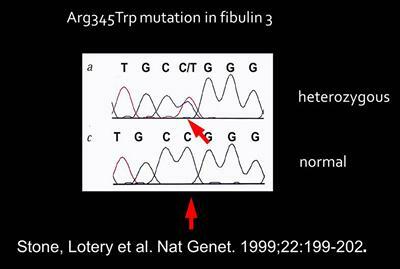 At the University of Iowa I was part of the team which identified that mutation in Fibulin 3 is the genetic cause of Doyne’s Disease. This led to a simple test for this disease which is now freely available on the NHS and so allows rapid diagnosis and genetic counselling (figure 1). Again as part of a team, I identified one of the commonest genes (CRB1) to cause Leber congenital amaurosis (LCA) and was one of the first to show that gene therapy is feasible in the macula . My work has therefore assisted in the choice of genes and vectors for human ocular gene therapy trials (which have now started). I am a co-investigator on an ocular clinical gene therapy trial on choroideraemia. My research group in Southampton has identified several additional genetic risk factors for age related macular degeneration (AMD) (figure 2) and we identified the association of SERPING1 with AMD. For this contribution I was awarded the Nettleship Medal by the Royal College of Ophthalmology for the best research paper published by a British Ophthalmologist in the last four years. As part of the UK multicentre IVAN study I co-ordinated the collection of DNA samples on participants in this trial so that pharmacogenomic evaluations could be made in AMD. My laboratory was one of the first to identify pharmacogenomic associations in AMD. I am Chief Investigator on a multi-centre genetic study of primary open angle glaucoma (POAG). Glaucoma is a progressive disease of the optic nerve, resulting in gradual but permanent loss to peripheral vision. We have collected approximately 1500 DNA samples so far (figure 2). Together with researchers at the Wessex Regional Genetics Laboratory in Salisbury, I have been able to establish a test for glaucoma, now available on the NHS. Most recently I have been part of multi-national collaborations seeking to identify novel glaucoma genes. This has resulted in a recent discovery which has been published online in Nature Genetics. My laboratory has also been instrumental in the genetic understanding of a type of childhood Nystagmus where the eyes have involuntary to-and-fro movements. We have established the genetic cause in a large family with congenital infantile nystagmus (CIN), and are currently recruiting for a large paediatric genetics study. We are also actively genotyping patients with cone dystrophies, glaucoma and retinitis pigmentosa. I am investigating the use of human iris pigment epithelium derived stem/progenitor cells and also corneal limbal epithelium derived stem cells, as potential cell sources for transplantation. This work aims to isolate stem cells from iris and corneal tissue, and to drive transdifferentiation towards retinal phenotypes including photoreceptor and RPE cells. From both tissues my team has sucessfully derived RPE and photoreceptor like cells. Our work is now focussing on assessing the functionality of these cells. Although we have been sucessful in deriving retinal lineage cell types, the efficiency of this process is relatively low. The next step for this work will therefore be to use viral gene modification with transcription factors, in an attempt to improve the efficiency of retinal specific differentiation. In collaboration with Dr Grossel’s group in chemistry we have manufactured electrospun fibrous scaffolds using a non-biodegradable synthetic acrylic polymer, which is used clinically in the manufacture of intra-ocular lens (figure 3). The electrospun scaffolds mimic the structure of the inner fibrous layers of native Bruchs membrane. In order to improve cell adhesion, the surface of these fibrous scaffolds has been modified to facilitate attachment of extracellular matrix proteins and short cell adhesion motifs. Using these scaffolds we are currently carrying out in vitro biocompatibility studies. We are assessing cell attachment, proliferation and viability on different types of fibres and also the effect of various surface modifications. We are also characterizing the phenotype and functionality of the cell monolayer formed on the surface of fibrous scaffolds. In collaboration with Dr Aly Hussain from the Institute of Ophthalmology (UCL), we are carrying out investigations to quantify the elasticity and permeability of the artificial fibrous scaffolds, in comparison to human Bruchs membrane. I run a clinical trials group (figure 4) which is involved in a variety of commericial and NHS funded clinical trials. I have participated in over 10 clinical trials for AMD and diabetes. I have been the UK Chief Investigator for two of these studies. In recognition of my efforts in translational clinical trials I was one of the first 100 investigators in the United Kingdom to be made a National Institute of Health Senior Investigator. I provide a tertiary referral service in medical retinal diseases including diabetic retinopathy, age-related macular degeneration, vascular diseases, hereditary and acquired macular diseases. I run a cataract operating list with an emphasis on training junior ophthalmologists in cataract surgery. I have responsibility for the delivery of photodynamic therapy (PDT) services for AMD in Hampshire and successfully both wrote and implemented the business case for PDT in Hampshire. I run a weekly special teaching session in fluorescein angiography. I have ongoing research programmes in age-related macular degeneration and ophthalmic genetics. I run a monthly ophthalmic genetics clinic with my colleagues in Clinical Genetics. I have established a medical retinal clinical research fellowship. I provide a national lead on AMD treatments in the NHS including submissions to NICE and the Hampshire Clinical Advisory Priorities Group. 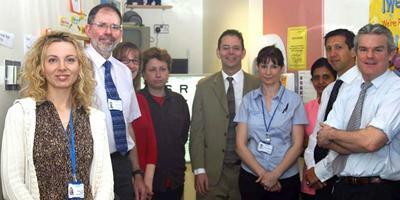 I have set up an NHS funded anti-VEGF service at Southampton Eye Unit. I have successfully developed a business plan for this which has resulted in the recruitment of two new consultants and additional staff grade doctors and nursing and imaging staff. 01/07/2014 - to date. Member, E3 (European Eye Epidemiology) consortium. 01/04/2014 - to date. Clinical Specialty Lead for Ophthalmology, NIHR Clinical Research Network, Wessex. et al. (2018). Genome-wide association meta-analysis highlights light-induced signaling as a driver for refractive error. Nature Genetics, 50. Lotery, A., Colijn, J., Buitendijk, G. H. S., Prokofyeva, E., Alves, D., Cachulo, M., ... Klaver, C. C. W. (Accepted/In press). Prevalence of age‐related macular degeneration in Europe: the past and the future. Ophthalmology. Hykin, P., Sivaprasad, S., Prevost, A. T., Vasconcelos, J., Murphy, C., Kelly, J., ... Lotery, A. (Accepted/In press). LEAVO: A Multicentre Phase III Double-masked Randomised Controlled Non-Inferiority Trial comparing the clinical and cost effectiveness of intravitreal therapy with ranibizumab (Lucentis) vs aflibercept (Eylea) vs bevacizumab (Avastin) for Macular Oedema (MO) due to Central Retinal Vein Occlusion (CRVO). Lancet, 1-19. De Salvo, G., Vaz-Pereira, S., Arora, R., & Lotery, A. J. (Accepted/In press). 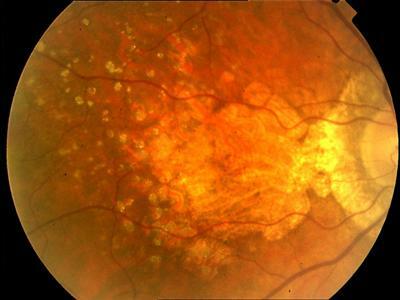 Multicolor imaging in the diagnosis and follow up of type 2 acute macular neuro-retinopathy. Eye, 1-12. Lotery, A., Gibson, J., & Cree, A. (Accepted/In press). New insights into the genetics of primary open-angle glaucoma based on meta-analyses of intraocular pressure and optic disc characteristics. Human Molecular Genetics. Gemenetzi, M., Lotery, A. J., & Patel, P. J. (Accepted/In press). Risk of geographic atrophy in age related macular degeneration in patients treated with intravitreal anti-VEGF agents. Eye, 1-9. Alexander, P., Gibson, J., Cree, A. J., Ennis, S., & Lotery, A. J. (2014). Complement factor I and age-related macular degeneration. Molecular Vision, 20, 1253-1257. Khandhadia, S., Foster, S., Cree, A. J., Griffiths, H., Osmond, C., Goverdhan, S., & Lotery, A. J. (2012). Chlamydia infection status, genotype, and age-related macular degeneration. Molecular Vision, 18, 29-37. Gibson, J., Griffiths, H., De Salvo, G., Cole, M., Jacob, A., Macleod, A., ... Lotery, A. (2012). Genome-wide association study of primary open angle glaucoma risk and quantitative traits. Molecular Vision, 18, 1083-1092. Thomson, H. A. J., Treharne, A. J., Grossel, M. C., & Lotery, A. J. (2010). Attachment and viability of arpe-19 cells on biodegradable polymer microspheres. ARVO Meeting Abstracts, 51(5), 5243. Chen, X., Thomson, H. A. J., Hossain, P., & Lotery, A. J. (2010). Derivation of neural progenitor cells from adult mouse corneal limbus. ARVO Meeting Abstracts, 51(5), 3755. Stinghe, A., & Lotery, A. J. (2009). [Familial choroideremia--case report]. Oftalmologia, 53(4), 45-49. Davidson, A. E., Millar, I. D., Urquhart, J. E., Burgess-Mullan, R., Shweikh, Y., Parry, N., ... Manson, F. D. C. (2009). Missense mutations in a retinal pigment epithelium protein, bestrophin-1, cause retinitis pigmentosa. American Journal of Human Genetics, 85(5), 581-592. DOI: 10.1016/j.ajhg.2009.09.015. Thomson, H. A. J., Treharne, A. J., Walker, P., Grossel, M. C., & Lotery, A. J. (2009). Optimisation of polymer scaffolds for ocular cell transplantation. ARVO Meeting Abstracts, 50(5), 6230. Cruess, A. F., Zlateva, G., Xu, X., Soubrane, G., Pauleikhoff, D., Lotery, A., ... Goss, T. F. (2008). Economic burden of bilateral neovascular age-related macular degeneration: multi-country observational study. PharmacoEconomics, 26(1), 57-73. Bosley, T. M., Konstantopoulos, A., Madhusudhana, K., Yadegarfar, G., & Lotery, A. (2007). Age and cataract surgery complications. British Journal of Ophthalmology, 91(9), 1254-1255. Ismail, A. R., Cates, C. A., Mullins, R. F., Manners, R. M., & Lotery, A. J. (2007). Autosomal dominant early onset aponeurotic ptosis and corneal limbal vascularization in a three-generation family. Ophthalmic Plastic and Reconstructive Surgery, 23(6), 484-486. Soubrane, G., Cruess, A., Lotery, A., Pauleikhoff, D., Mones, J., Xu, X., ... Goss, T. F. (2007). Burden and health care resource utilization in neovascular age-related macular degeneration - Findings of a multicountry study. Archives of Ophthalmology, 125(9), 1249-1254. Lotery, A., & Trump, D. (2007). Progress in defining the molecular biology of age related macular degeneration. Human Genetics, 122(3-4), 219-236. Self, J. E., Abeysiri, P., & Lotery, A. J. (2006). A review of age related macular degeneration. Geriatric Medicine. Fingert, J. H., Eliason, D. A., Phillips, N. C., Lotery, A. J., Sheffield, V. C., & Stone, E. M. (2006). Case of Stargardt disease caused by uniparental isodisomy. Archives of Ophthalmology, 124(5), 744-745. Jones, R. P. O., Ridley, C., Lomas, A. C., Wang, T., Howard, M., Jowitt, T., ... Trump, D. (2006). Characterisation of wild type fibulin 5 and mutants associated with age-related macular degeneration. Journal of Medical Genetics, 43, pp.S89. Self, J. E., Ennis, S., Collins, A., Shawkat, F., Harris, C. M., Mackey, D. A., ... Lotery, A. J. (2006). Fine mapping of the X-linked recessive congenital idiopathic nystagmus locus at Xq24-q26.3. Molecular Vision, 12, 1211-1216. Goverdhan, S., Howell, W. M., Bacon, H., Chisholm, I. H., Avery, K., & Lotery, A. J. (2004). Association of HLA polymorphisms in age-related macular degeneration. Investigative Ophthalmology & Visual Science, 45, p.U725. Koenekoop, R. K., Fishman, G. A., Iannaccone, A., Ezzeldin, H., Ciccarelli, M. L., Baldi, A., ... Maumenee, I. (2002). Electroretinographic abnormalities in parents of patients with Leber Congenital Amaurosis who have Heterozygous GUCY2D mutations. Archives of Ophthalmology, 120(10), 1325-1330. Chung, M., & Lotery, A. J. (2002). Genetics update of macular diseases. Ophthalmology clinics of North America, 15(4), 459-465. Webster, A. R., Heon, E., Lotery, A. J., Vandenburgh, K., Casavant, T. L., Oh, K. T., ... Stone, E. M. (2001). An analysis of allelic variation in the ABCA4 gene. Investigative Ophthalmology & Visual Science, 42(6), 1179-1189. Lotery, A. J., Jacobson, S. G., Fishman, G. A., Weleber, R. G., Fulton, A. B., Namperumalsamy, P., ... Stone, E. M. (2001). Mutations in the CRB1 gene cause Leber congenital amaurosis. Archives of Ophthalmology, 119(3), 415-420. Guymer, R. H., Héon, E., Lotery, A. J., Munier, F. L., Schorderet, D. F., Baird, P. N., ... Stone, E. M. (2001). Variation of codons 1961 and 2177 of the Stargardt disease gene is not associated with age-related macular degeneration. Archives of Ophthalmology, 119(5), 745-751. Lotery, A. J., Munier, F. L., Fishman, G. A., Weleber, R. G., Jacobson, S. G., Affatigato, L. M., ... Stone, E. M. (2000). Allelic variation in the VMD2 gene in best disease and age-related macular degeneration. Investigative Ophthalmology & Visual Science, 41(6), 1291-1296. Lotery, A. J., & Frazer, D. G. (1995). Iatrogenic acute angle closure glaucoma masked by general anaesthesia and intensive care. Ulster Medical Journal, 64(2), 178-180. Lotery, A. J., Kerr, J. R., & Page, B. A. (1994). Fungal keratitis caused by Scopulariopsis brevicaulis: successful treatment with topical amphotericin B and chloramphenicol without the need for surgical debridement. British Journal of Ophthalmology, 78(9), 730. Self, J., & Lotery, A. (2012). Nystagmus Genetics. In The Challenge of Nystagmus: Proceedings of the Nystagmus Network Research Workshop, Abingdon, UK, 2-5 September 2009 Nystagmus Network. Self, J., & Lotery, A. (2012). Current understanding of the genetic causes of nystagmus. In I. Gottlob, C. Harris, & J. Sanders (Eds. ), The Challenge of Nystagmus Beckenham, GB: Nystagmus Network. Khandhadia, S., Madhusudhana, K., Yadegafar, G., Lotery, A., Luff, A., & Newsom, R. (2008). 12 month visual outcome data for patients treated with Bevacizumab (Avastin) for neovascular age-related macular degeneration. Paper presented at ARVO 2008 Annual Meeting Eyes on Innovation, . Lotery, A. (2008). Age-related macular degeneration is associated with the HLA Cw*0701 genotype and natural killer cell receptor AA haplotype. Paper presented at 31st Annual Macula Society Meeting, . Jomary, C., Thomson, H., Lotery, A., & Jones, S. (2008). Effect of crx expression on differentiation of human adult iris and retinal stem cells. Poster session presented at Eyes on Innovation, ARVO Annual Meeting, . Goverdhan, S. V., Khakoo, S. I., Gaston, H., Griffiths, H., & Lotery, A. J. (2008). HLA Cw* 0701 genotype and natural killer cell receptor AA haplotype are associated with age-related macular degeneration. Paper presented at ARVO 2008 Annual Meeting Eyes on Innovation, . Thomson, H. A., Macleod, A., George, N., & Lotery, A. (2008). Isolation and culture of human iris pigment epithelium derived multipotent progenitor cells. Poster session presented at Eyes on Innovation, the ARVO 2008 Annual Meeting, . Cree, A. J., Chen, X., & Lotery, A. J. (2008). Mutation analysis of the human serum amyloid P component gene in a United Kingdom cohort of age-related macular degeneration (AMD) patients by two different methods.. Paper presented at ARVO 2008 Annual Meeting Eyes on Innovation, . Self, J. E., Lotery, A., & Chen X-L Hodgkins, P. (2008). Penetrance rates in carrier females in pedigrees with congenital idiopathic nystagmus caused by Frmd7 gene mutations. Paper presented at Eyes on Innovation: Arvo 2008 Annual Meeting, . Lotery, A. (2018). Screening and management of hydroxychloroquine retinopathy. Eye, 32, n/a. .
Undergraduate Supervisor offering one MMedSci and one Academic Foundation Programme laboratory based vision science project per year. Postgraduate supervisor offering Integrated PhD rotation projects in both the Immunity and Infection and Stem Cell pathways.